Chaitanya “Chet” Kanojia is founder and CEO of Starry, Inc., a Boston- and New York- based technology company focused on re-imagining and revolutionizing how consumers connect to the internet by developing an eco-system of products designed to make broadband access simple and affordable. Prior to Starry, Chet was the founder and CEO of Aereo, Inc., the groundbreaking online television platform that enabled consumers to record and watch live HD broadcast television on virtually any type of Internet-connected device via a cloud- based OTA antenna and DVR. Previously, Chet was the founder and CEO of Navic Networks. Like Aereo, Navic Networks addressed the challenges of today’s highly fragmented media landscape. Under Chet’s direction, Navic Networks grew to be the undisputed industry leader in advanced television advertising. In 2008, Navic Networks was acquired by Microsoft. Chet holds more than 14 patents in fields ranging from robotics to data communications systems and is an innovative leader known for pushing beyond the conventional and developing breakthrough solutions. 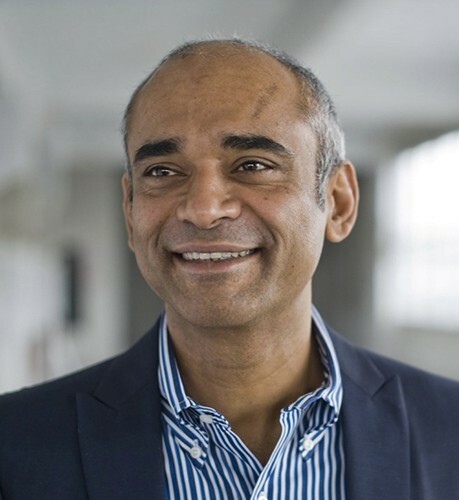 He has been recognized as one of the “Top Disruptors of 2013” by Forbes magazine, noted as part of Vanity Fair’s 2013 “Next Establishment List” and named one of Inc. Magazine’s 2013 “Entrepreneurs of the Year.” Aereo’s technology was also named one of TIME magazine’s Top 50 Best Websites (2012) and a Top 50 Technology (2013) by MIT Technology Review. Chet holds a master’s degree in Computer Systems Engineering from Northeastern University in Boston and a bachelor’s degree in Mechanical Engineering from the National Institute of Technology in Bhopal, India. He resides in Newton, Massachusetts with his wife and two children.